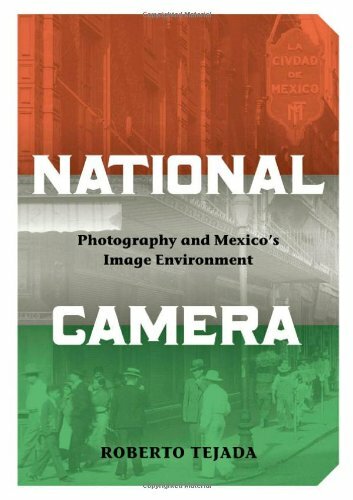 In National Camera, Roberto Tejada offers a comprehensive study of Mexican photography from the early twentieth century to today, demonstrating how images have shaped identities in Mexico, the United States, and in the borderlands where the two nations and cultures intersect—a place Tejada calls the shared image environment. The “problem” of photography in Mexico, Tejada shows, reveals cross-cultural episodes that are rife with contradictions, especially in the complex terms of cultural and sexual difference. Analyzing such topics as territory, sexuality, and social and ethnic relations in image making, Tejada delves into the work of key figures including Manuel Alvarez Bravo, Edward Weston, Tina Modotti, Marius de Zayas, and Julien Levy, as well as the Agustín Víctor Casasola Archive, the Boystown photographs, and contemporary Mexican and Latina photo-based artists. From the Mexican Revolution of 1910–1920 to the U.S.–Mexico borderlands of today, Tejada traces the connective thread that photography has provided between Mexican and U.S. American intellectual and cultural production and, in doing so, defines both nations. In National Camera, Roberto Tejada offers a comprehensive study of Mexican photography from the early twentieth century to today, demonstrating how images have shaped identities in Mexico, the United States, and the borderlands where the two nations and cultures intersect—a place Tejada calls the shared image environment. The “problem” of photography in Mexico, Tejada shows, reveals cross-cultural episodes that are rife with contradictions, especially in the complex terms of cultural and sexual difference. Analyzing such topics as territory, sexuality, and social and ethnic relations in image making, Tejada delves into the work of key figures such as Manuel Alvarez Bravo, Edward Weston, Tina Modotti, Marius de Zayas, and Julien Levy, as well as the Agustín Víctor Casasola Archive, the Boystown photographs, and contemporary Mexican and Latina photo-based artists. From the Mexican Revolution of 1910–20 to the U.S.–Mexico borderlands of today, Tejada traces the connective thread that photography has provided between Mexican and U.S. American intellectual and cultural production and, in doing so, defines both nations.